Just squeaking through before the end of Sunday is another round of the Art Dump. 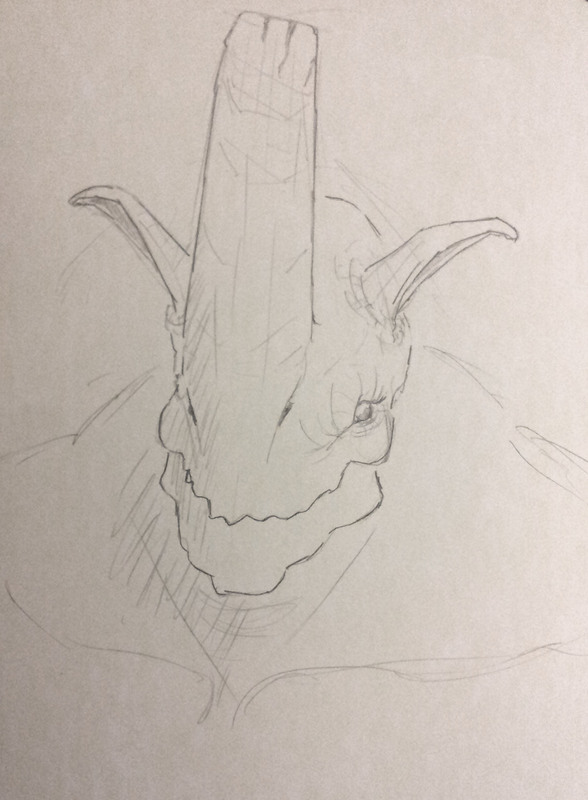 This week its all One Horn all the time, so get ready for some Rhino inspired dudemen. 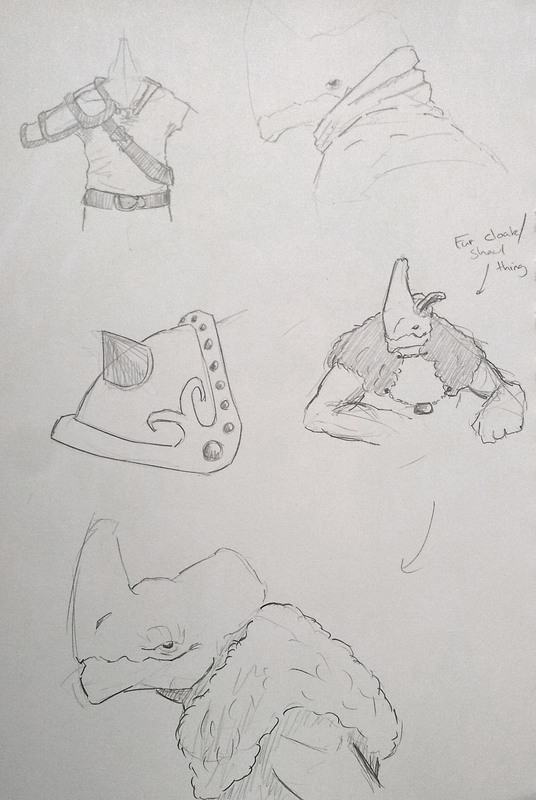 First up is a page of doodlings looking at trying to dress them in something cool looking. All I came away with from these sketches is that fur shawl / coat things look cool. 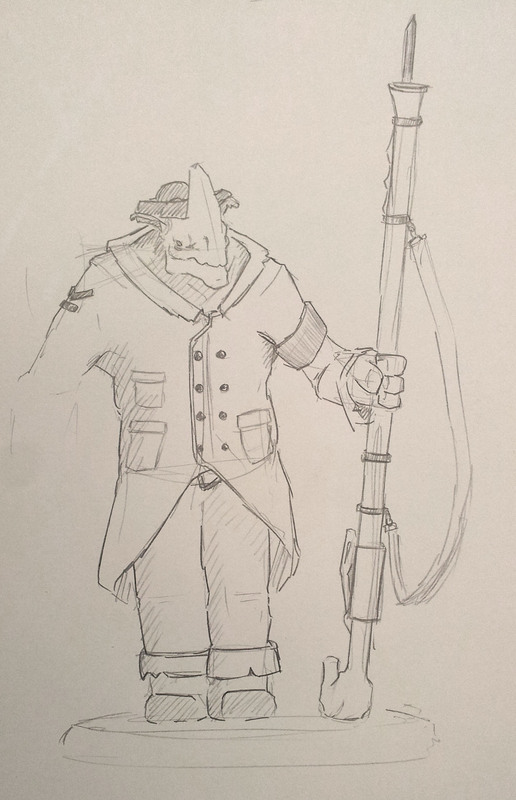 Next up is the One Horn looking very American civil war era. Bit of a flat pose with not much going on, though at least we see him in a coat. Oh and gumpy feet which were rushed. Thirdly we’ve got a reasonable close up of his face from a front angle. In this I was just trying to draw him not in profile for once (I tend to get lazy and just draw in profile if I’m in a hurry). And finally for this week something different, a 3d sculpt of him. Its just a bust but it was quite fun to do. 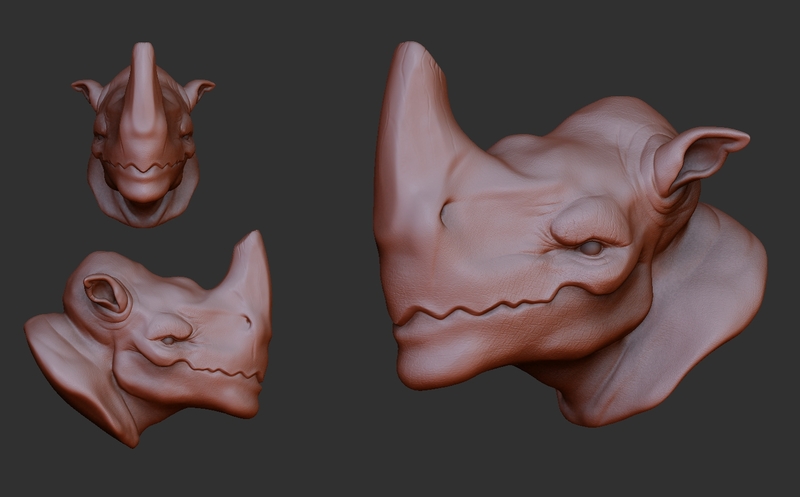 I’m feeling the look for the One Horn is getting quite close, at least with his overall body and facial vibe. I like the low eye and the strong cheek which sits out over the mouth line (which will hopefully come out quite well in a model). And with that another Art Dump comes to a close, if you’ve got any feedback or ideas don’t hesitate to let us know. Cheers 😀 happy to know people are enjoying the pictures. Hopefully my sketches will only continue to improve!